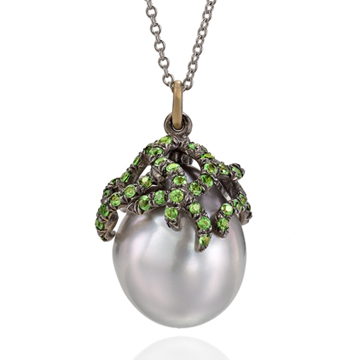 The last day of June is a good excuse for one more post about the month’s birthstone, the pearl. 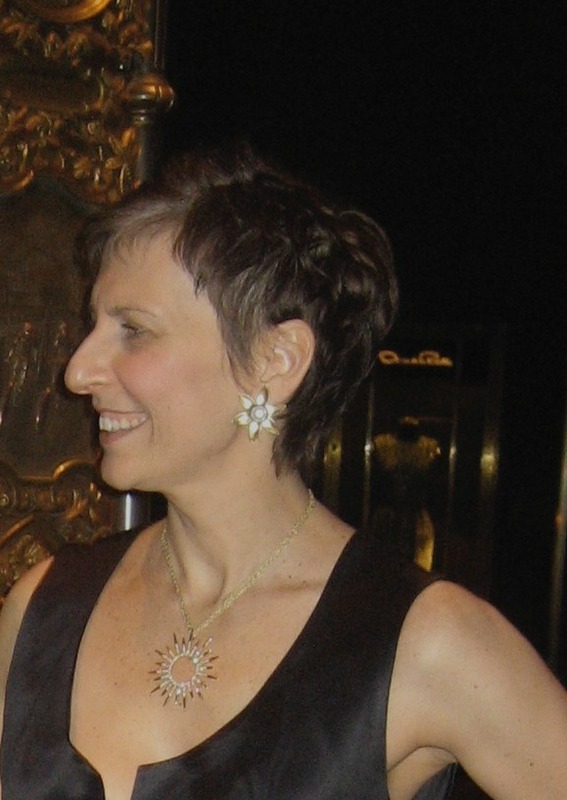 I made this one-of-a-kind pair of pearl earrings in 2008. 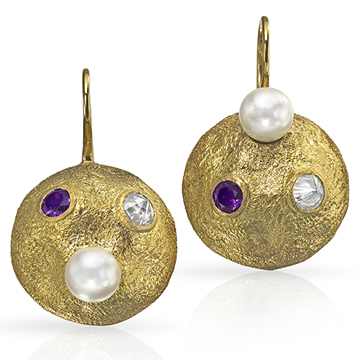 The pearls are set in 18K yellow gold and accented by 83 points of black diamonds (there are 100 points in a carat). It’s a much different style than what I do now. As I wrote at the time, photos of jewelry are tricky. Small things often look big and big things look small. 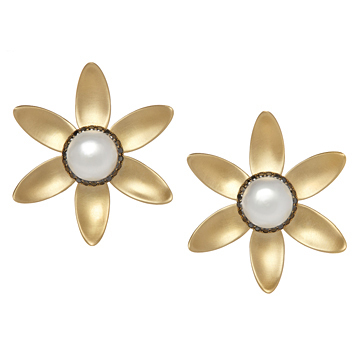 These wildflower earrings were NOT tiny little studs. Look at them on my gorgeous customer Melissa. Melissa is also wearing my 2 1/2″ wide Gloriana pendant, which gives you an idea of how big these red-carpet-worthy earrings are. 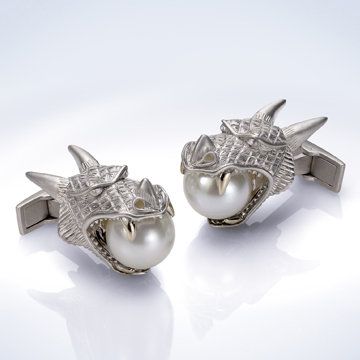 While I don’t have this style in stock anymore, I’d be happy to custom-make you the pearl earrings of your dreams, no matter if those are new 3-millimeter studs or bold drops that incorporate pearls you’ve had for a long time. A custom redesign. Click for more information. … and rings. I think I outdid myself with this pearl ring for gorgeous customer Christine! If you want to discuss your own one-of-a-kind pearl design, holla at me at info at wendybrandes dot com. 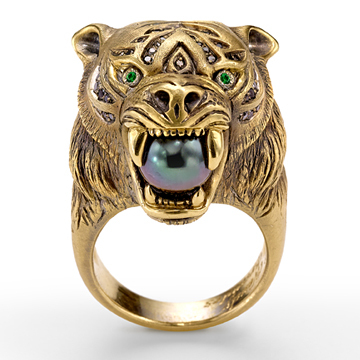 There’s information about creating custom jewelry here.